Face scrubs are one of my skincare weaknesses. If I see a new one on the shelf, then I must go and have a peak. With that being said, I'm also probably more fickle than the average person when it comes to choosing one but today's product is a highly raved about green product that's been on the hot list of almost every natural/organic skincare junkie so naturally, I had to dip in too. 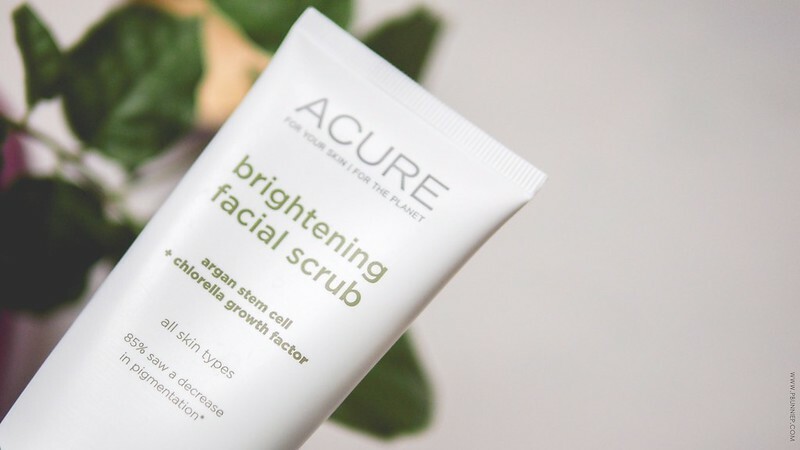 Acure has branded itself to be quite an affordable and approachable nature conscious label with a tightly curated range of skincare products (many of which contain organic ingredients) for a basic non-fussy, unisex friendly regimen. I've only pick up two products from them so far but there's a lot more on my list to explore and at first glance I'm quite thrilled to see they are doing natural at such a good price point for those who are just wanting to start exploring. Now the Brightening Facial Scrub is based around sea kelp, french green clay and the mysterious chlorella growth factor but more on that later. 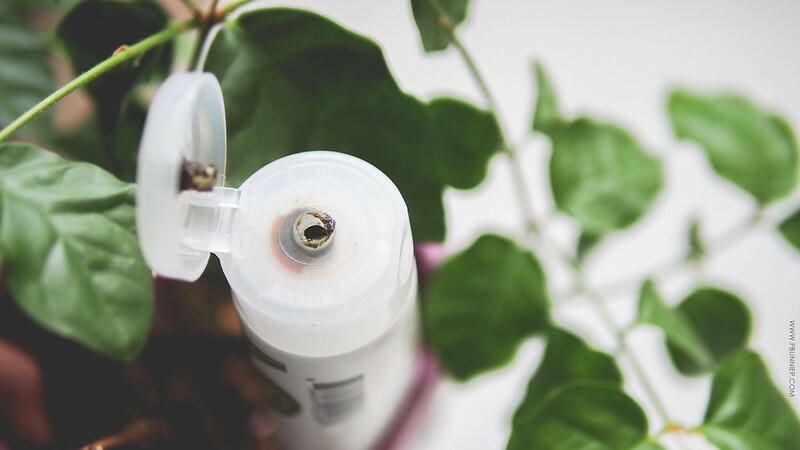 The product dispense via a squeeze tube packaging which works well for the slightly thicker consistency and I'm very happy to report that the flip lid closes tightly so if you're a shower scrubber like I am, it's not going to leak. 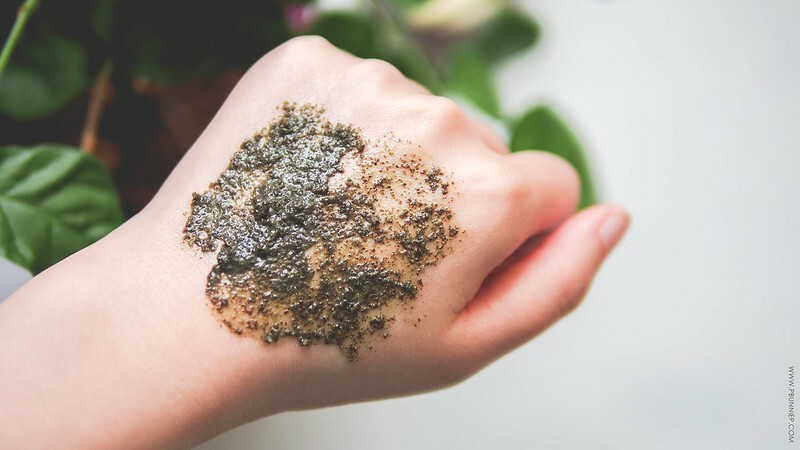 What you get here is a very gritty, very green and very herbal scented physical exfoliator that contains varying sized particles suspended in a thin base. Compared to the Alba Botanica Sea Algae scrub (I've reviewed previously), this is much more loaded and with overall larger grains. It did a quick and effective job at making my skin super smooth and I didn't have to exfoliate 2-3 times a week because a single session does a thorough job but even after weeks of use, I'm still undecided if I love it and it all comes down to how rough your like to scrub. I find that the varying sized natural particles seems to have uneven edges so while some grains are perfectly fine, others felt a bit too harsh and there was no way for me to go about it gently because it's all mixed together. And while the ingredients list coconut, argan and olive oils, I didn't find this creamy nor moisturizing and for this fact would prefer it more as a summertime product. Granted, it wouldn't be a deal breaker if you have more tolerant skin but this is not something that I'd recommend for sensitive skin types. Now let's not forget about the chlorella growth factor which according to Acure's research (see details here) is an anti-aging sea algae which promote cell regeneration at a DNA level by protecting collagen levels. This is something completely new to my skincare vocabulary and logically I don't see its potential being used to full effect in a face scrub that will only go down the drain in a few minutes. However, Acure does employ CGF in other products such as serums and moisturizers which may be a little more appropriate should you be interested in it. 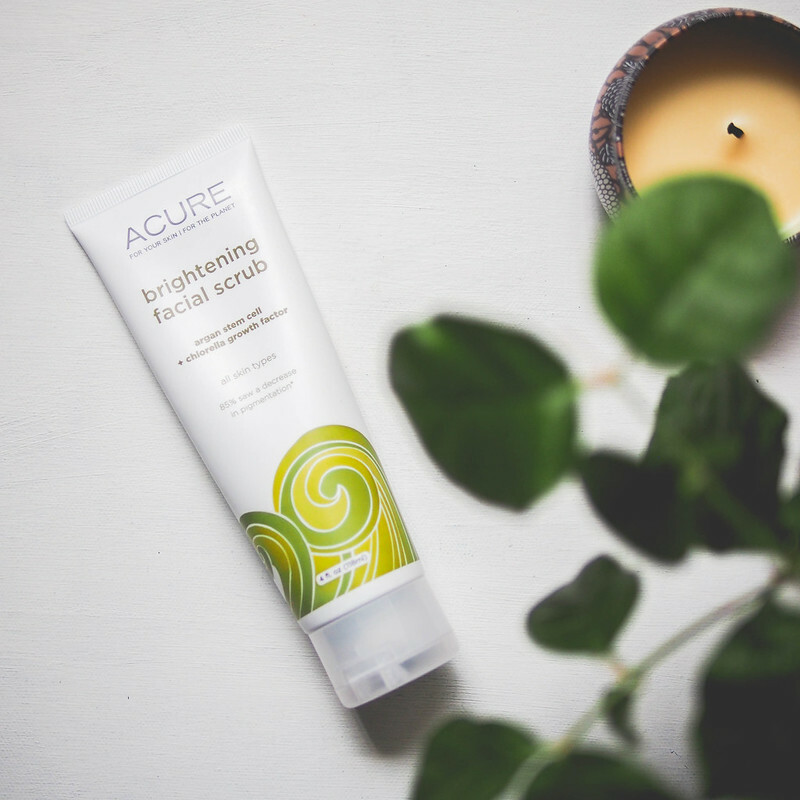 The Acure Brightening Facial Scrub is a very effective, quick and gritty exfoliator best reserved for the body or on tolerant and slightly oilier skin types. I love that this is just loaded with grains so you really don't need much product to have a thorough experience but on the other hand this can be too rough on sensitive skin types. For those looking for a finely textured, excellent scrub with a creamy/oil base then the Dermalogica Therafoliant is the way to go. However if all this doesn't bother your skin then I'd say this Acure scrub is great value for your money and well worth a try! Organic Curoxidant Blend [(Organic Euterpe Oleracea (Acai) Berry, Organic Rubus Fruticosus (Blackberry), Organic Rosa Canina (Rosehips), Organic Punica Granatum (Pomegranate), Fair Trade Organic Aspalathus Linearis (Rooibos)], Organic Calendula Officinalis (Calendula), Organic Matricaria Recutita (Chamomile), Organic Aloe Barbensis (Aloe Vera) Leaf Juice, Vegetable Glycerin, French Green Clay, Organic Lemon Peel Granules, Saponified Organic Cocos Nucifera (Coconut Oil), Cellulose Gum (Vegetable), Organic Olea Europaea (Olive Oil), Organic Ascophyllum Nodosum (Sea Kelp), Theobromo Cacao (Cocoa) Powder, Organic Chlorella Pyrenoidosa (Chlorella Growth Factor), Chlorophyll, Glucono Delta Lactone (Fermented Sugar), Carageenan, Argania Spinosa (Argan) Stem Cells, Organic Argania Spinosa (Argan) Oil, Potassium Sorbate (Food Grade Preservative), Lilium Candidum Leaf Cell Extract, Essential Oil Blend of Salvia Officinalis (Sage) and Mentha spicata (Spearmint).